A lot of my clients are getting into meditation. This post is some of my take on it. When we start to meditate, we often do it because our thoughts are running around constantly with a lot of judgement behind them, and we want some form of relief. It might not even be that conscious, as was my experience. Or we might just feel awful all of the time, like we are walking against the current of life, or that we can’t seem to get ourselves in order on a cellular level. When we sit, at first all of those thoughts have a lot of power, our bodies might really resist sitting still in half or full lotus. There is a lot of energy behind our thoughts. All of our focus is on them. And we don’t know how to get away from them. But when we sit, we begin to experience something else happening, something off on the sidelines, like a whisper. It is similar to if we stand in a room and really listen, maybe we will begin to hear the refrigerator buzzing, but would not have noticed it before. It was in the background. It is almost impossible to focus on it for more than an instant. And that focusing is exhausting. And if we sit for a while, we begin to see that this whisper from the sidelines begins to grow. It becomes more interesting. Our attention begins to go to it easier. It begins to permeate our whole body. It feels right somehow to focus on it, and our thoughts lose a bit of their power. Later, after sitting consistently, this other thing, once on the sidelines, starts to become the main event of our attention. Thoughts become less interesting. They are still there, but the main conversation of our awareness is what is happening with this unknown power which is moving through us. We find that if we listen to it, it begins to guide us how to open up to it more and more. It brings us real joy, a joy we do not understand. A joy not dependent on outer circumstances. We leave the cushion and it is still with us, it begins to permeate our lives. Everything looks brighter, our bodies begin to heal from the inside out. In time, we find that this great power is so much greater than our bodies. Focusing on it makes it grow, and others can feel its presence because of our focusing on it. When we are confused, if we find this light, our minds become clear. If we are not feeling good in a situation, we find this real truth moving through us, and we find the ability to become one with the situation at hand. Instead of finding the answer to a question someone asks us through our thoughts, the answer springs from this other guide. The longer we sit with this, the more it grows, like a great love affair. Sitting becomes more of an act of pure surrender to this light, as if we are a channel to share this light with the world. Many experiences come, sometimes awakenings, sometimes enlightenment. 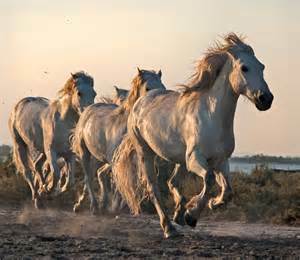 Where once this love flowing through us was just a whisper, we might in an instant connect to the source of everything, and like Ten Thousand Horses, it will rise through us and shatter all of our doubt. And it will never go away. It will be a tool we carry for our whole lives. Thanks for reading. Good luck! Oh That’s so wonderful, Robert! Thanks for your comment. Much appreciated!